Nancy, a woman married for twenty-one years with a 19-year-old son and a 16-year-old daughter, said with tears in her eyes and deep bitterness in her voice, “I feel lonely and isolated. All that I ask from my husband is his concern when he sees me upset. But, that, I never get.” Now Nancy is filing for divorce. There was no big problem other than her feeling of neglect and lack of companionship. 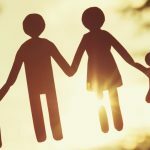 In part 1 of this article we discussed the urgent need to address our family problems in an effort to protect our families and make our homes happier. In this article and the subsequent ones we will attempt to shed light on the most common Muslim family problems that hinder building a happy home while investigating their solutions based on the Quran and Sunnah. In this part we will focus on friendship in marriage. CAN MARRIED COUPLES BE FRIENDS? Nancy’s complaints and frustrations are not uncommon. Many wives share Nancy’s feelings, although for some these emotions are less intense and bring about different responses. But many will agree that they are unhappy and dissatisfied with their marriage. Some have concluded that after marriage they can no longer be friends. Some try to seek friendship outside marriage, perhaps with a close female friend. Take Green and Pierre, who’ve been happily married for over forty years. We asked them, “What’s the secret?” Without hesitation, they answered ‘friendship and commitment.’ They started out with a great friendship and never let it go. They’ve maintained a deep respect for one another as friends who freely share thoughts and feelings about all sorts of things—in an atmosphere of deep acceptance and total safety. That’s kept their bond strong and alive. WHY CAN’T WE KEEP OUR FRIENDSHIP WITH OUR SPOUSES? Unless we are careful, most of our conversations as couples become about problems. Marital life has a lot of concerns that we have to deal with on a daily base: over-due bills, a sick child, or a broken car. All of these are issues that we have to deal with, but if that is all we talk about, sooner or later we will lose the deeper sense of being friends who talk about thoughts, feelings, and interests. Another obstacle that hinders building and maintaining friendship between couples is the fast pace of our modern life and under-estimating the importance of allocating time for our relationships. A third obstacle is our reckless words that can turn potentially intimate situations into nasty fights. This not only ruins an opportunity to build a sense of friendship but also leaves the couple afraid to try again, leading instead to withdrawal as an escape mechanism. How can we overcome the difficulties that hinder developing friendship with our spouses? Prophet Muhammad gave us the best example through his life with his wives. When he received the first revelation, he hastened to his best friend, his first wife Khadijah, and confessed to her what had happened. She immediately believed him and supported him unconditionally with all her means. This demonstrates the best friendship between a husband and wife that history has ever known. This is a model that every couple must try to achieve in their relationship. Tips to that end will help us build and protect friendship with our spouses. With our tight schedules and pressure to cope with different responsibilities of pursuing a career, maintaining a home, and raising children, it is hard to have free time left for nourishing our relationships. Unless we make companionship time a top priority, we will likely never find the opportunity. This should be a time to talk, share thoughts and feelings, relax, and have fun. During this time we should listen to the Quran together, comprehending and extracting the deeper lessons from its verses. Allah’s words are the best cure for our ailments, and a bonding factor that will bring our souls closer. We should not be tempted to use this time to meet deadlines of work, settle disputes or work out conflicts. That can take the enjoyment out of these special moments. Choose a time when you are not tired or upset. Use a relaxing place where you have some privacy and a sense of romance, such as a coffee shop or restaurant. Think before you speak, and express yourself with carefully chosen words. Some words are like bullets that can hurt badly. Prophet Muhammad said:Whoever believes in Allah and the Day of Judgment should say good words or be silent. Stay calm and objective, by putting yourselves in your mate’s position. This is not always easy and requires empathy and selflessness. Think first about what you can give and invest in the relationship, rather than what you want from it. That means focusing on knowing what your partner wants from you before asking for what you want. Prepare yourself to hear some constructive criticism from your mate. Listen carefully and rationalize it objectively. In order to do that you should build mutual trust so you do not interpret criticism as a sign of lack of respect or appreciation, but as a necessary tool to make things better for both of you. This requires strengthening the feeling of being one team. Keep in mind the teaching of Prophet Muhammad:Restrain your anger, restrain your anger, restrain your anger. This session should be taken so seriously that you may take notes about promises and plans of actions. 1) What are the best two traits of your mate—in your opinion? 2) What do you want to do during an hour that you will spend together? 4) How to reduce the frequency and intensity of arguments. Remember that life cannot go on without arguing; it is normal to argue or disagree and encounter small problems. But we should be determined to improve and use these small problems to strengthen our relationships, rather than for hurting each other. Also, we must keep the foundations of our relationship strong and untouched, by shielding those foundations during all circumstances and storms. 5) What is the worst character or attitude that you wish your mate would change? Keep in mind that behavior modification does not happen overnight; it needs patience, determination, motivation, mutual understanding, and sustained effort from both sides.